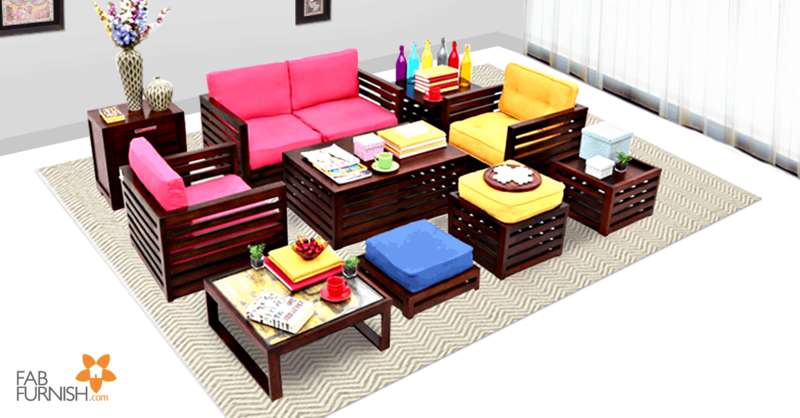 FabFurnish.com is India’s largest furniture, furnishings, kitchenware and home decor retailer. 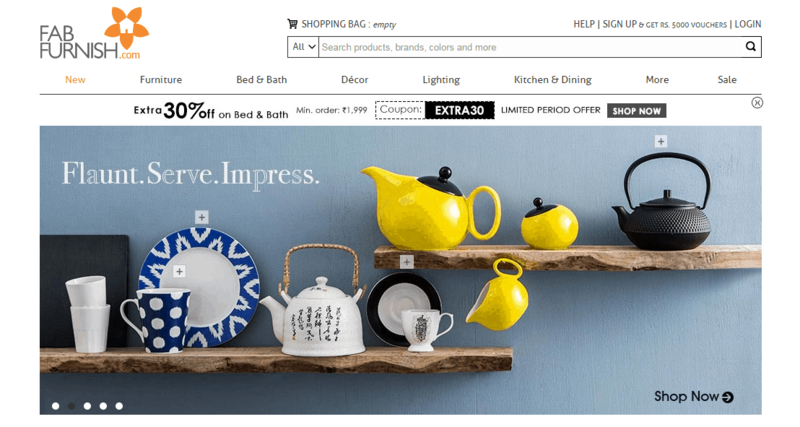 It sells stylish, modern and affordable products via its ecommerce website and through its retail stores. 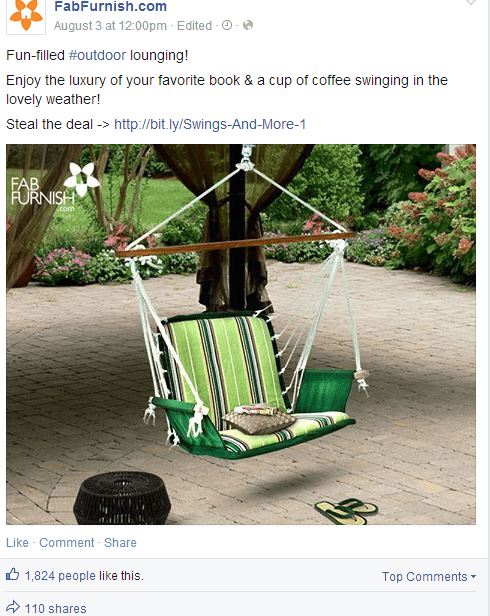 • Link ads were displayed in both the desktop News Feed and the right column to drive traffic directly to the company’s website. 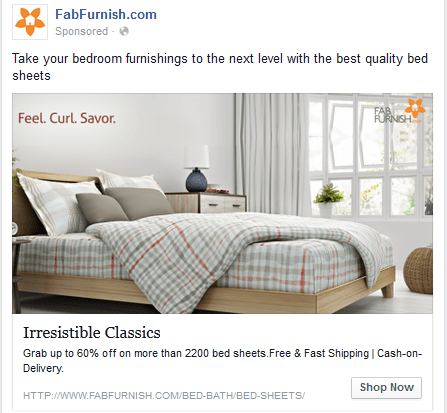 • Top-quality images were produced in-house for the photo ads and compelling copy with strong calls to action were crafted by FabFurnish.com in order to guarantee effective creative ad content. 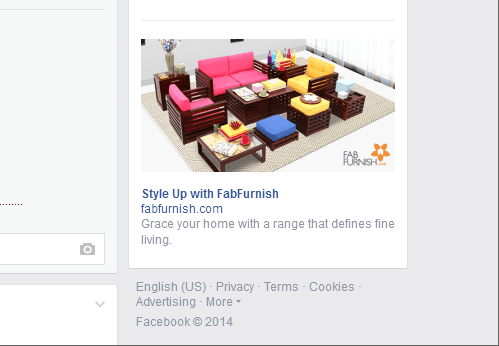 • People living in India’s biggest cities and high-spenders who had expressed an interest in furniture on Facebook were targeted by FabFurnish.com in order to reach the right people. They made use of lookalike audiences to target people with a similar Facebook profile to customers in their database. They also segmented the customers in their database and then targeted those using Custom Audiences. 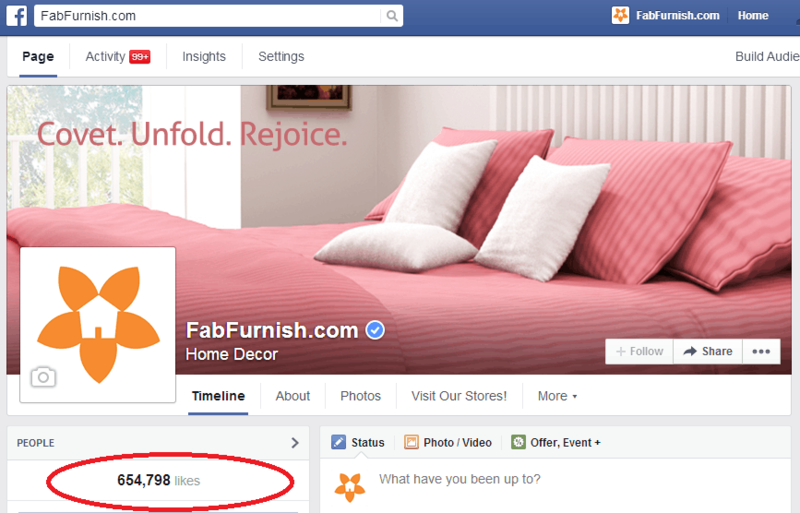 Facebook became the biggest revenue-generator for FabFurnish.com by helping the company to significantly grow its sales revenue and drive people to its website for over a one-year period between May 2013 and April 2014.